This manual is the final output developed and obtained during the implementation of the so called project. "ReYion: Rural Empowerment through Youth Initiatives and Organisations Networking". This manual is the main output obtained during the 19-month cooperation of all the project partners with the support of the young people and youth entities located on the rural areas on which the project materials were tested. It contains pedagogical milestones for those professionals on the youth sector who could aim to replicate them within their organisations and communities. 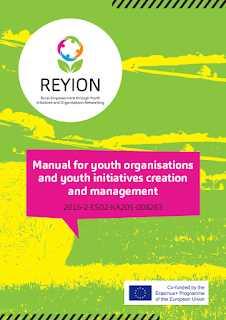 This material is available in all the project languages (Czech, English, Italian, Greek, Slovenian and Spanish) and can be downloaded from the project website (that also includes a compendium of all the youth groups or initiatives developed by the beneficiaries of ReYion during the, implementation of its programme). a) A theoretical part: containing technical content and information about the topics that each unit is related to. The target of this part are young people or youth workers who want to create a youth entity, improve the structures of already existing organisations and get a deeper knowledge on the management of projects and youth initiatives. 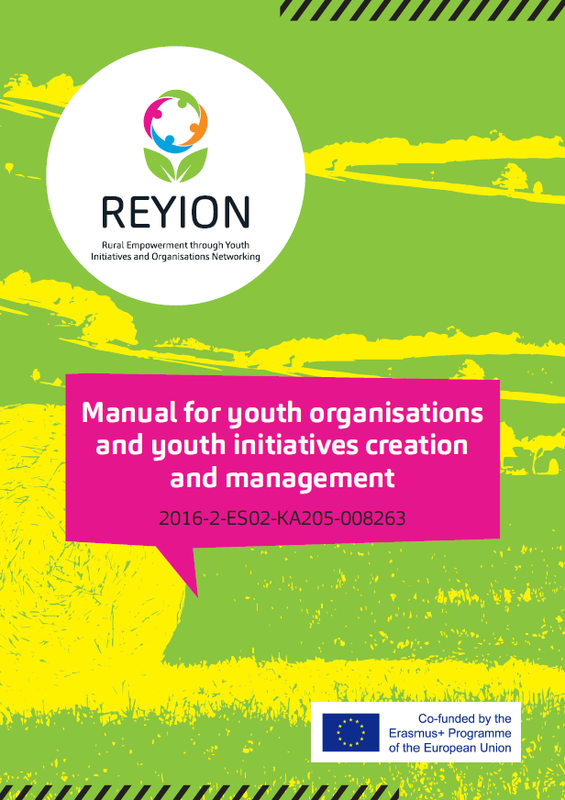 b) A practical part: created for those youth workers or facilitators interested on training young people on the topics included on this manual and provide them a basic knowledge about them. 2. Use the interactive version of the manual and read it online. Click on the inphography on each of the sixt units of the manual and explore it online. You can also watch first the video resume of each unit before surfing through all of their content, theory and practice.